Unbound Merino’s mantra? “Pack Less. Experience More.” The RainyDayDestination folks can get behind that 100%. When traveling, luggage is baggage, and baggage holds you back. 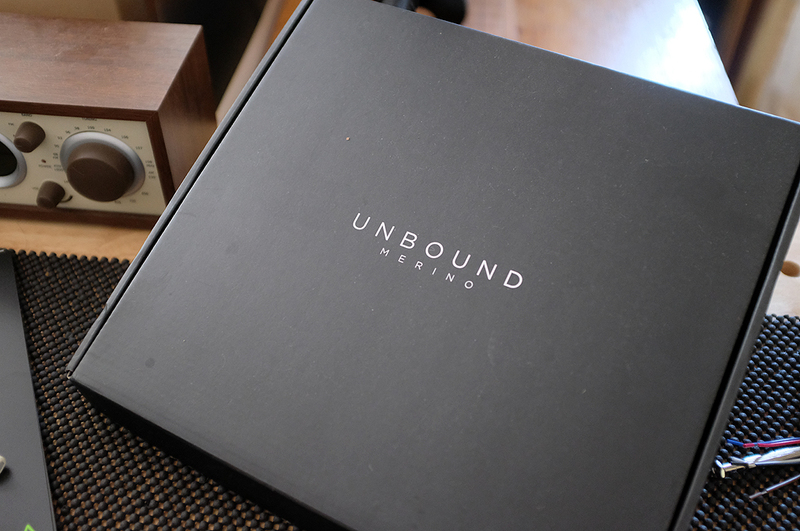 Three awesome guys at Unbound Merino decided to do something about that, and in the process, may have ended up changing the way people travel. No, not by creating a teleporter, but by eliminating the burden of unnecessary luggage. How? By making their clothing with Merino wool. 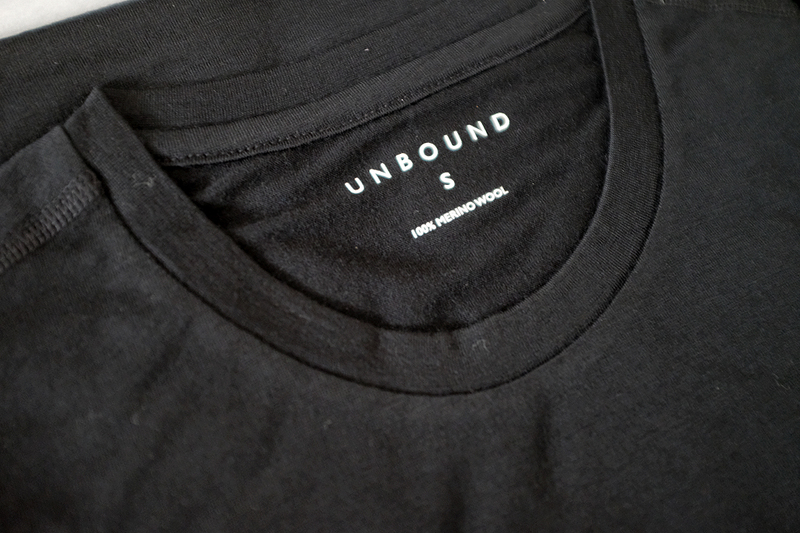 Unbound Merino’s claim is that their T-shirt can be worn every single day for weeks on end because it doesn’t smell, dries fast, is breathable, insulating, and does not wrinkle. What more can one possibly want or expect? No smell after prolong wear…really? Come on. How can that be? Well, to understand how that can be, it’s necessary to understand the root of how smelly clothes get that way. Accordingly to Unbound Merino, clothes smell because bacteria grows on sweat trapped in the fabric. 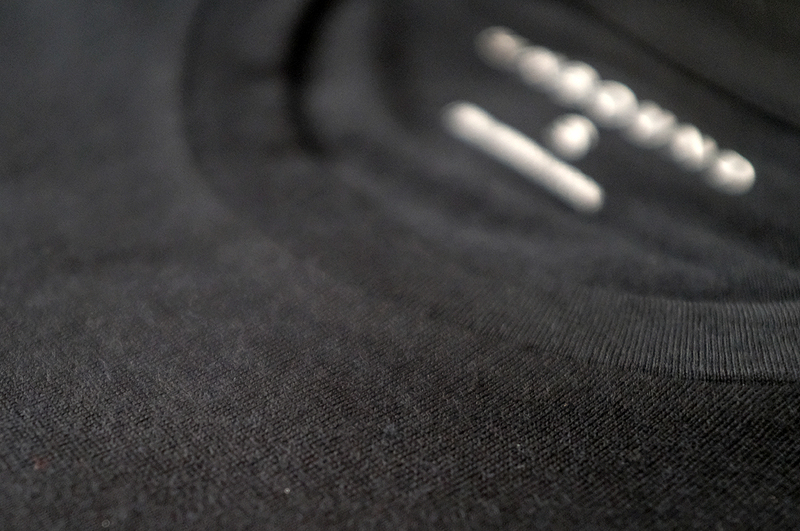 Merino wool’s ability to wick moisture away from the body so it evaporates eliminates the issue, as the wicking action robs the bacteria of the moisture it needs to grow. So, no sorcery, just science magic. Oh, and for those who worry that wool may be “itchy,” stop worrying. The fabric of Unbound Merino’s clothes are super comfortable, soft to the touch, and stays wrinkle-free even when worn repeatedly. Caring for these shirts is just as easy, whether at home or on the road: hand or machine wash in cool temperature, lay flat to air dry, ready to wear in no time:-) Just no dryer for these babies. 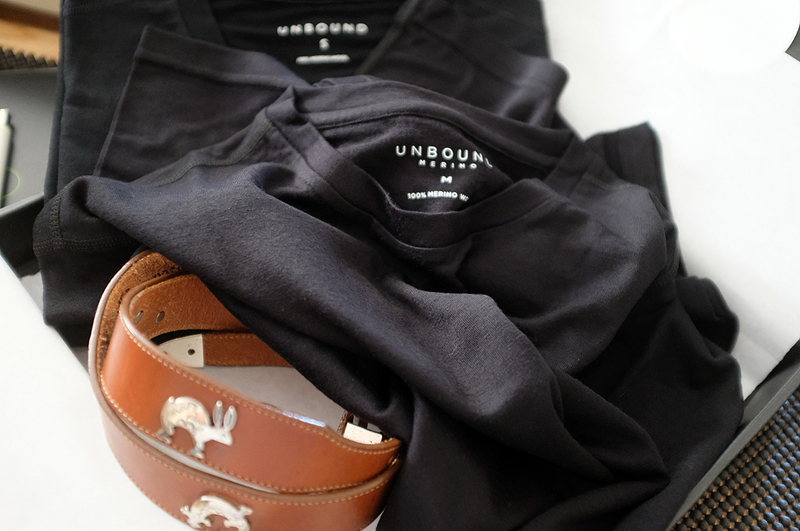 This all adds up to the simple fact that Unbound Merino customers can: travel comfortably dressed, cut down the amount of clothing they pack for a trip, and skip the baggage carousel, saving time, money, and hassles. To see if their claims are true, we are going to wear one for a month and see what’s what. Come back in October for the FirstUse writeup. 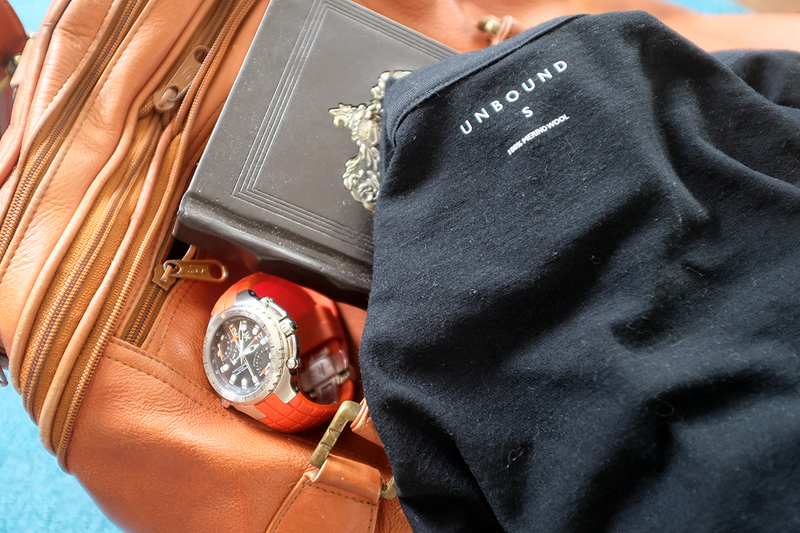 Here’s to packing and traveling light!